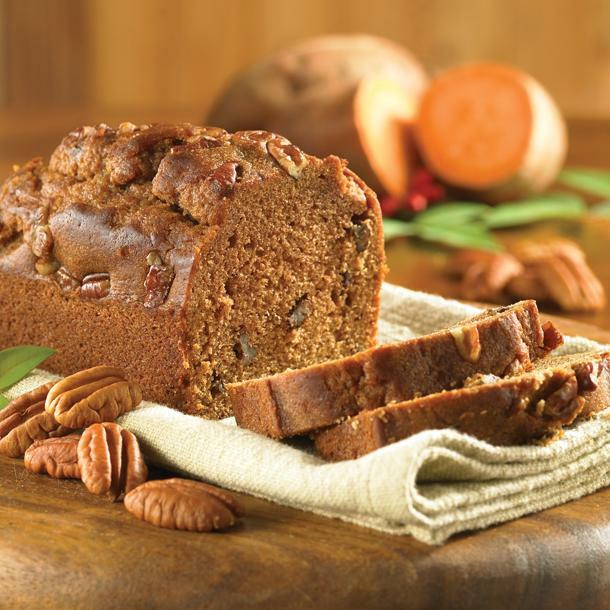 A light quick bread recipe that's great this fall! In a large bowl combine mashed sweet potatoes, sugars, nutmeg, cinnamon and applesauce. Stir gently to combine. Add baking soda, salt, melted butter, vanilla extract and flour. Stir well to combine all ingredients. Fold in chopped pecans. Add mixture to a prepared loaf pan. Bake for one hour or until a toothpick inserted in middle of bread comes out clean. Let cool, and serve with butter alongside your favorite milk.